With current trends for downsizing and automation, it is easy to see why customers would find services to be impersonal, maybe even unpleasant. 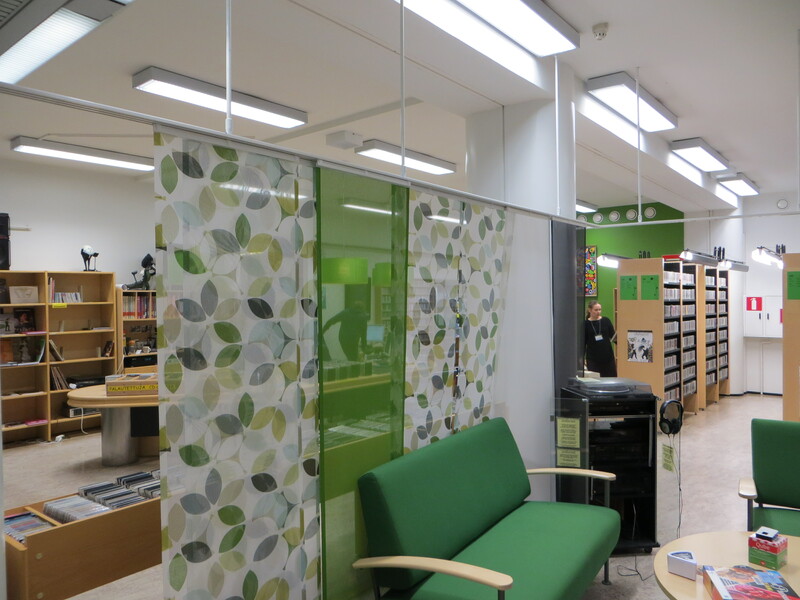 Vantaa City Library decided to turn the trend to a different direction. By systematically using codesign, and by at the same time opening up its service processes, the library managed to significantly increase both its ROI and its customer satisfaction. Details can be found in the OECD Observatory of Public Service Innovation (which is, by the way, a treasure trove of social innovation case examples), but I will discuss some of the key ideas here, too. Aesthetic service visibility design in action. The real innovation was in this case the systematic nature of making services visible to the customers, as it was carried throughout the process in all of its aspects. Therefore, when customers and non-customers were asked what they would want out of the library, they were also presented with information on how the service process there works. When architects designed the spaces’ new furniture and decorations, key attention was on the way through which each area could simultaneously provide privacy, inviting people to stay, and yet facilitate contact with the services and the staff. Self-service touchpoints were placed so that customers could actually see that they made things easier for them, instead of just functioned as replacement for human workers. And, finally, all of such issues were introduced into workplace parlance, so that whenever possible, the staff would discuss the processes with each customer. The combination of these elements produced something I’ve come to call service visibility. It’s not complete transparency – many of the front and back office processes would be just boring to see. Instead, it is the selective presentation of some parts of the service to the customers, so that they realize the quality of the service they are receiving. Think of it as the public service version of a fine restaurant’s open kitchen, where you can see the food being cooked. Especially amidst downsizing, it is easy to streamline processes too much: in the end, they will be very efficient, but of lesser value – because the service experience is missing something essential. We are at risk of being so smooth that a customer may forget how much effort and expertise is needed to provide that service. In providing opaque efficiency, we are just satisficing, not truly serving our customers. By systematically seeing the entire value network and then revealing select processes within it to our customers, we can significantly improve their service experiences, generate more value, and still keep the work itself just as efficient before. In Vantaa, the changes resulted in the tripling of positive customer feedback, and a turning of the until then decreasing tide of customer visits and loans. And the great majority of it was achieved by using existing materials and existing networks, just together with the other stakeholders, in an innovative and systematic manner.